Introducing Slim Combo, the ultimate companion for your iPad Pro. Slim Combo pairs with iPad Pro for the ultimate Pro experience. Four distinct modes give you unparalleled versatility, and Smart Connector pairs and powers your keyboard in one magical instant. ALL PRO. ALL DAY. ALL NIGHT. Full-size backlit keys, smart iOS shortcuts and the most laptop-like typing experience on iPad Pro. Batteries aren’t included, because you’ll never need them. 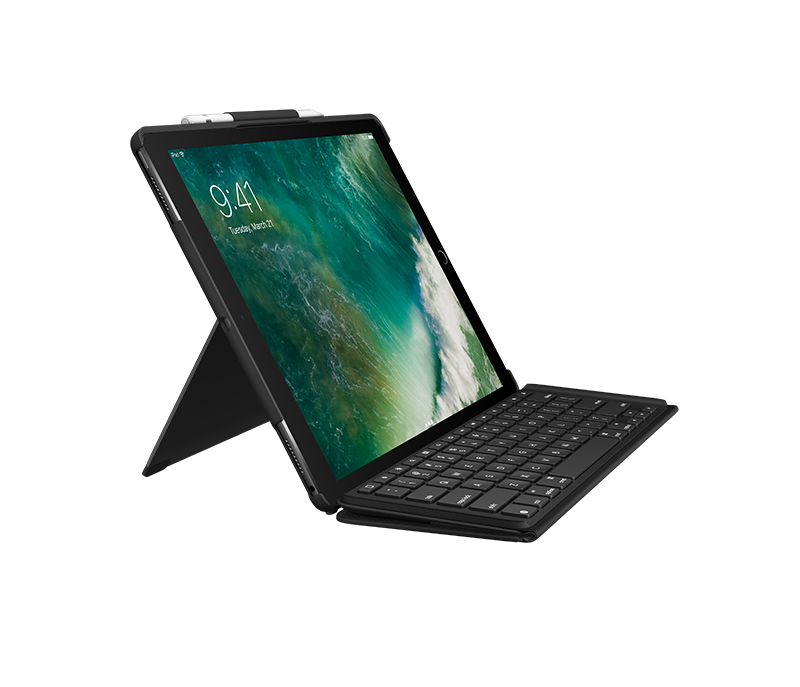 Place your iPad Pro into Smart Connector and your keyboard instantly pairs and powers on. 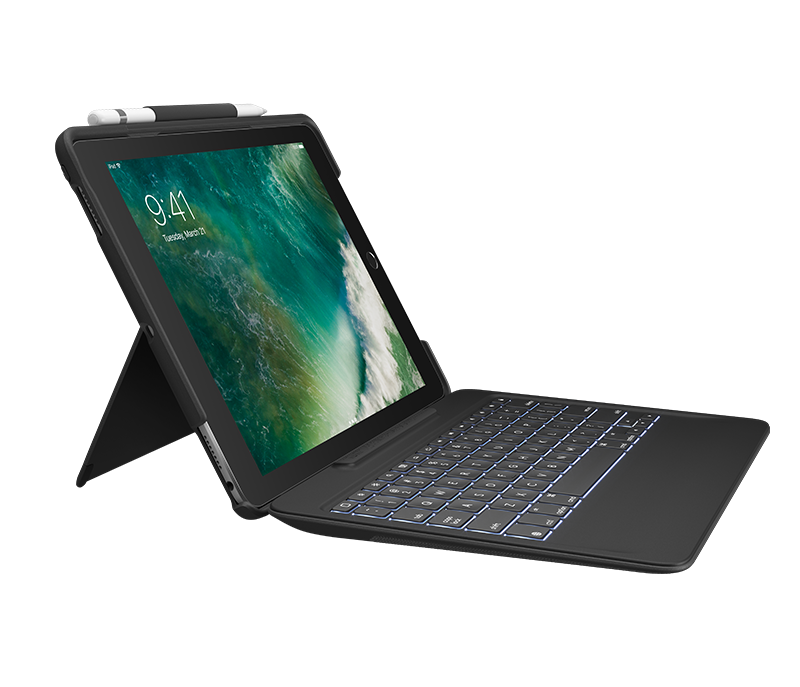 Keep your iPad protected from scuffs and scratches in an impossibly slim keyboard and case combo for 12.9 inch and 10.5 inch iPad Pro. Click the iPad Pro into the holder – first the top left corner, then top right. 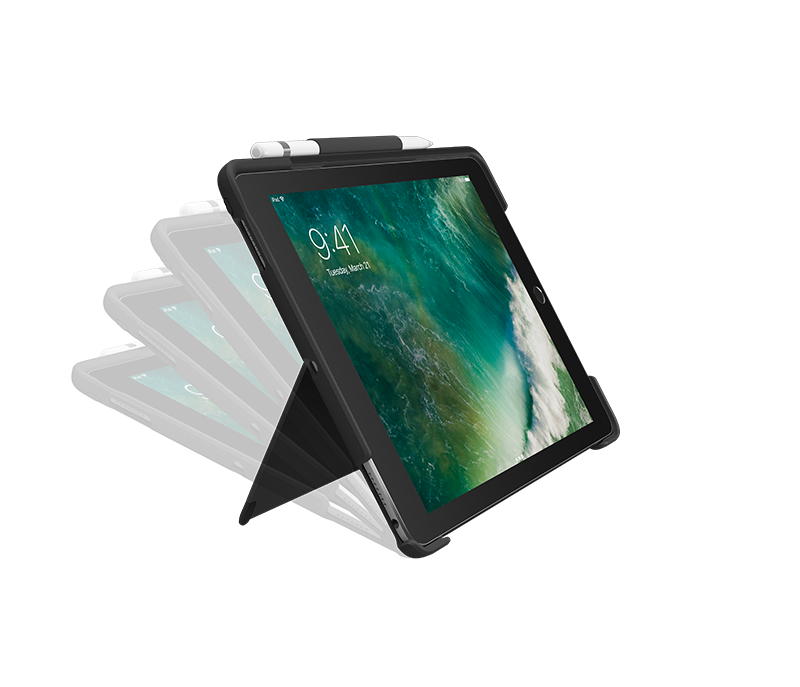 Open a kickstand on the holder, set iPad Pro at a comfortable angle. Adjust if needed. Attach the keyboard, aligning 3 connector pins on the keyboard with 3 connector ports on the side of the iPad Pro. 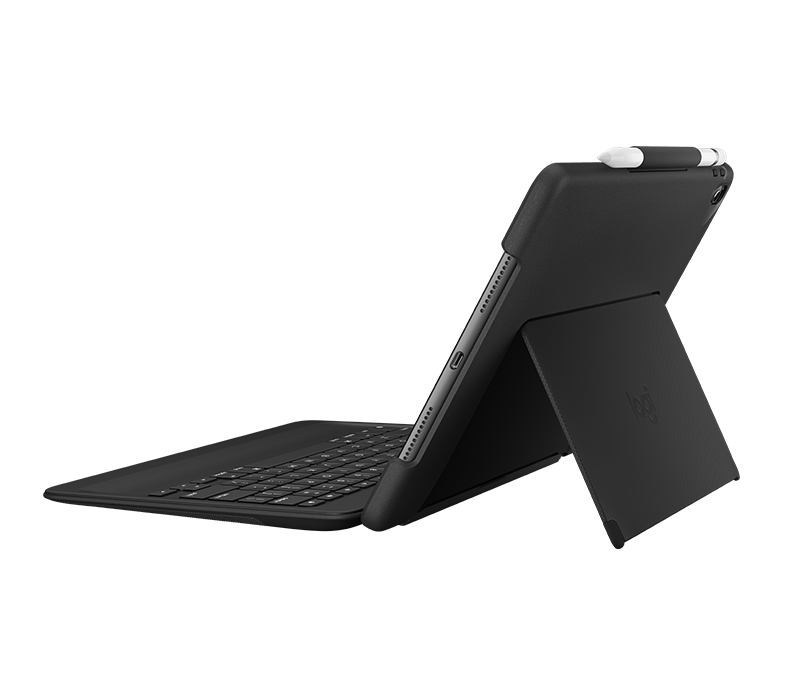 For iPad Pro 12.9 inch, fold the keyboard palm rest under for a more compact footprint. Whenever you don’t need typing, detach the keyboard and enjoy your beautiful iPad Pro screen with nothing standing in the way. There’s a right angle for every situation – and it’s not always 90 degrees. Two micro hinges ensure that Slim Combo smoothly reclines within 50 degrees range and stays in place once you’ve got that perfect setting. When a call comes in, simply switch Slim Combo into portrait mode for a hands-free FaceTime experience that captures less background and more of what matters. Go for a minimalist hand-held mode to sketch out an idea or just sit back and get lost in an article or e-book without distractions. Apple Pencil brings a whole new creative experience to your iPad Pro, and Slim Combo’s Apple Pencil holder makes sure it’s always by your side. Slide your Apple Pencil into the holder– where it won’t get lost, or in the way. Punch out emails – or an entire novel – on a full-size keyboard with carefully-crafted well-spaced concave keys. 3 levels of adjustable backlighting keep you productive in low light. Slim Combo connects to iPad Pro via physical connector, meaning you will never have to pair your keyboard again. Just click in and type away. When you are done, detach the keyboard to disconnect. 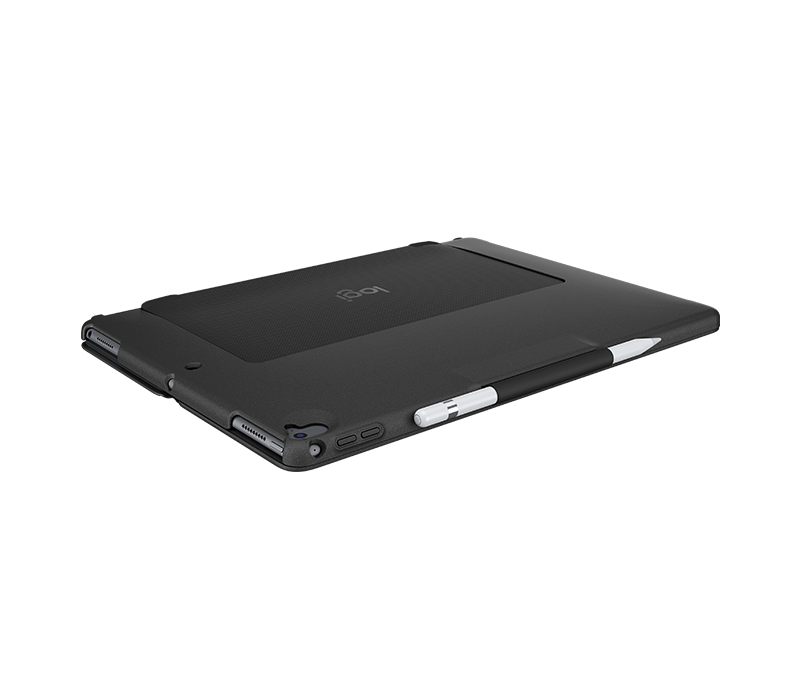 Slim Combo has been designed specifically for the 12.9 inch and 10.5 inch iPad Pro. 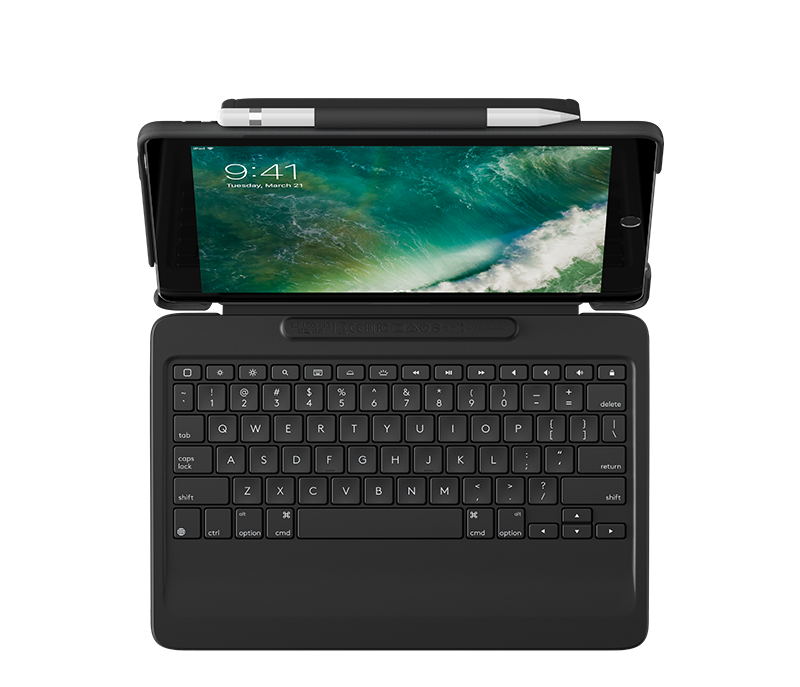 The keyboard has no charging cable, batteries, or blinking indicator light – getting all of its power directly from iPad Pro. It uses minimum power – 0.3%-2.3% of iPad Pro battery for every hour of typing. Plus, any iOS updates are communicated directly to your keyboard via Smart Connector.